KALANGALA – Uganda, Kenya and Tanzania share Lake Victoria, the second largest lake in the world with 84 islands. The islands with rocks, forests, fertile land and fresh water are a perfect destination for investment in agriculture and tourism, presenting an opportunity to generate revenue and further development. Bugala Island is the largest and most visited by tourists. With fascinating hotel lodging located along the lake, they offer views of the lake and is where the largest crop farming is practiced. This gives an opportunity to residents to engage in local tourism as well as palm oil and coffee growing. The accessibility of the island being guaranteed with three different marine vessels and extra power generation makes the island a pleasurable destination for tourists. However, much of the unexploited potential in both agriculture and tourism in the Ssese Islands lies in the far islands where services like marine transport, electricity and good roads do not exist. For instance, Nsirwe, which has different bird species favorable for tourism, the Bubembe, Nkose and Bukasa caves that hold Buganda’s main heritage lie on the three islands which neither have reliable power nor good transport to them. The Islands also have vast land with potential for agriculture in main Kalangala cash crops which remains utilized. “We also want to engage in oil palm growing as one way to enrich our incomes but we have neither facility to accomplish the trade in agriculture one a reason land remains bear in the Islands. The opportunity to engage in the main systems of agriculture remain greatly not tampered and residents habituate in the small localities known as landing sites without better activities,” says Richard Lwanga, a resident on Bukasa Island. Such inaccessibility leaves the island district underdeveloped. “The major challenge remains in the lack of transport to access the islands. This leaves investors with no option of reaching the distant islands even when they are rich for investment. It should remain as a wakeup call for the government and different stakeholders to engage improving transportation for easy accessibility and development orientation of different investment ideas,” says Ms Carol Nanyondo, the Kyamuswa County Member of Parliament. 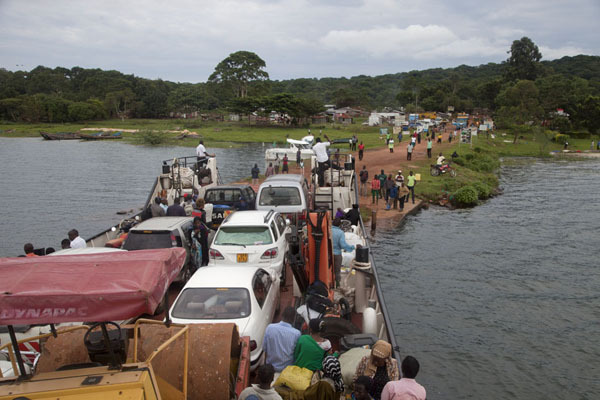 For instance, the lack of good transport and reliable power supply has failed the takeoff of different hotel businesses set up on Bukasa, Banda and Kachanga Islands since tourists could not cross to the different islands in canoe boats. Other Islands like Bunyama, Bugaba and Funve that lie next to the main Island ‘Bugala’ are favourable for fish farming due to the good weather conditions and the natural bays and gulfs but neither can they engage in such activities due to inaccessibility, insecurity and lack of resources. In a bid to develop Kalangala’s hidden tourism treasure, the Uganda government through the Uganda Tourism Board started an Initiative to have all stakeholders in the sector come together under a unifying cluster so as to develop the potential in the vast heritage Ssese Islands have. Kalangala District Commercial Officer Cyprian Kavuma on many occasions has urged for the improvement in the Infrastructure for development and efficiency of the work done in the tourism sector although he still faces a challenge of limited forum to raise the issues. 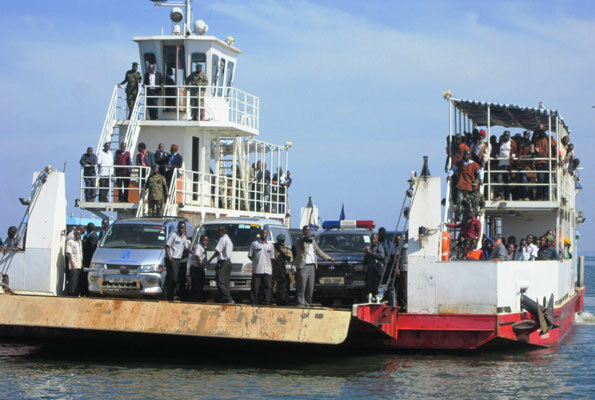 “We usually request District leaders to develop transport; however, the institution cannot even buy a single boat for connection through the different Islands for tourism. We face challenges of addressing wrong people for the improvement of the sector,” Says Kavuma. The lack of fresh clean water supply and electricity in the outlying Islands also hinders the development of the sector despite the resources that are key in tourist’s attraction. Under Ssese Islands Tourism Development Association, all partners in the tourism sector in Kalangala district have come together to find solutions of how to develop the sector. Tourism contributes up to 17% of the district’s locally generated income while agriculture works towards developing the individual occupants in the sector. The income is collected from taxes imposed on Hotel owners and tour guides who help usually pay for each tourist who comes to the Ssese Islands. Some investment opportunities in the electricity and water supply sector have so far been realized on three islands although the services remain expensive and hard to utilize. The main sources of tourism income have always been guest houses and beaches where each tourist who sleeps in the lodges is paid at the district headquarters in form of tax. Other tourism Sites especially on the easily accessible Bugala Island like the Luggo forest where the Ddamula stick (An instrument of power given to any Katikiro while assuming office) have never been exploited. Initiatives under the district public-private partnership with Chinese investors will see a perhaps new ferry to the islands in a bid to develop tourism. “The investors have pleaded to us with willingness to construct a bridge to connect Masaka and Kalangala which is only two nautical miles. We hope that the two ferries operating in that area will be taken to connect the other Islands that make up our District,” says Mr Lugoloobi.